Hanoi (VNA) – Since its establishment in 1961 at an initiative of the UNESCO, the Organisation of Asia-Pacific News Agencies (OANA) has become a forum at which news is directly exchanged among news agencies, helping popularise the official news from each country to the region and the world, a leader of the Vietnam News Agency (VNA) has said. In an interview on the threshold of the 44th meeting of the OANA Executive Board in Hanoi from April 18-20 under the theme of “For a professional and innovative journalism”, VNA Director General Nguyen Duc Loi further affirmed that the information released by the organisation conveys a message of a human society and a region of peace, prosperity and mutual understanding among the peoples of the countries. OANA membership sees 44 news agencies from 35 countries, including major and influential ones, which has created a strong voice of the organisation over the past nearly six decades. Director General Loi added that the OANA also serves as a quality professional forum among the top journalists in the region and affirms itself as a regional press organisation which has been enjoying rising prestige in the world media and working in an effective way. On the role and contributions by the VNA in the OANA, Loi stressed that the early joining of the organisation, in 1969, shows the national news agency’s proativeness in the international integration. Since its participation, the VNA has been an active member of the OANA, updating information to the organisation, taking a full and responsible part in activities within the framework of the OANA. The VNA has been elected to the OANA Executive Board for two consecutive terms since 2013, Director General Loi highlighted. The official further stressed that in the current context, the intensive and extensive international integration by the VNA will help popularise information on the party and State’s policies and guidelines to the public in the region and the world over. 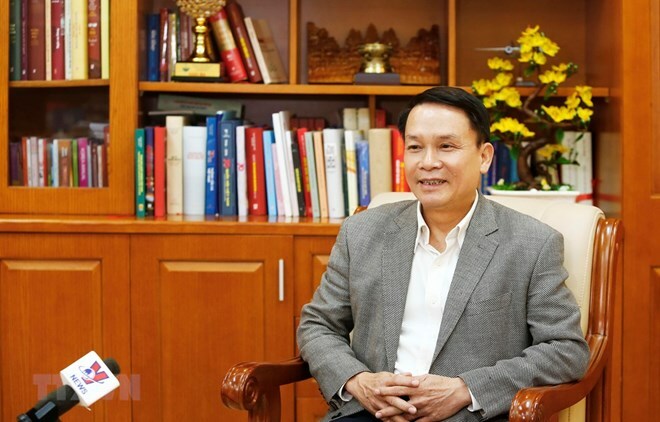 He also highlighted that the selection by the OANA of the VNA as the host of the meeting affirms the role and the voice of Vietnam’s national news agency in the multilateral news organisation. In the context that news agencies are facing the challenges on the reform of content and technology, the selection by the VNA and the OANA secretariat of the theme of the meeting manifests the responsibility of the host to the development of the organisation so as to strongly popularise the main flow of information in the world, thus helping build a healthy, professional and innovative journalism in Asia-Pacific, General Director Loi affirmed.